Residential schools operated in Canada for a hundred years and about one hundred and fifty thousand First Nations children were forcibly removed from their parents and their communities and sent to them. The philosophy of these institutions was to kill the Indian in the child so they could better assimilate into white society. It’s been well documented, indeed even Prime Minister Trudeau has apologized for the physical, sexual, emotional, and spiritual abuse these children endured for the ten years they were enrolled. What isn’t understood is that as well as losing a normal childhood they also lost coping mechanisms, trust, a sense of safety and belonging and future parenting skills. For generations there was a cycle of remove children from their family, culture and support systems; shame, punish and abuse them; and then return them to parents who had undergone the same treatment. If you don’t have this information, and other information about the cultural genocide perpetrated by the Canadian government, supported at least indirectly by the Canadian people than you cannot begin to understand the struggle of First Nations people in Canada. I didn’t and now I do, thanks to Lynda Gray’s book, First Nations 101. In a readable and dispassionate voice, Gray, a member of the Tsimshian Nation and Executive Director of the Urban Native Youth Assoc. in Vancouver, Canada, lays it all out and it’s horrific, unjustifiable and unresolved. Chapters include identity, social control, community issues, fairness and justice, taxation, health and wellness and arts. Apologies and commissions aside, First Nations still struggle with poverty and discrimination which are born out by statistics including Indigenous adults representing 4.1 percent of the of the total Canadian adult population — but 26 percent of adults in federal custody. As they begin to recover from the effects of our assimilation policies and decades of intergenerational trauma all they ask is that they receive justice and fairness and for us to get out of their way so they can get on with the healing and rebuilding of their culture. At the end of the book, Gray describes what needs to be done by the Canadian government and Canadians individually, and First Nations themselves if both sides are really interested in truth and reconciliation. 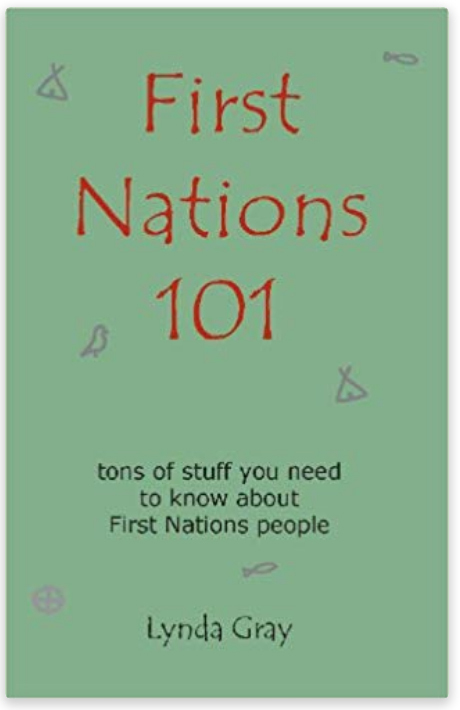 Reading First Nations 101 is a good first step.